Home » Featured • How to's • Insights » How to avoid losses while discounting this festive season? The festive season is when ecommerce discounts turn big and bold. All this is done in the hopes to receive massive orders that bring that glorious cha-ching! But, simple math shows that the more discounts you offer the less money you make. 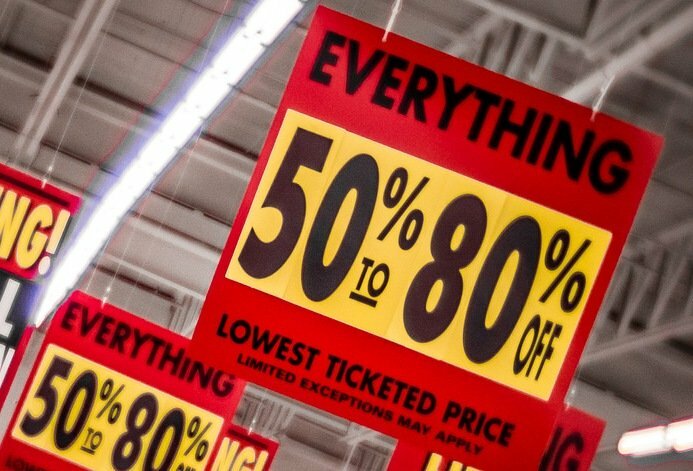 So, how can this festive season possibly boost your finances if discounts burn holes into your pockets? This means if it costs you too much to acquire a product, then it is best you don’t promote it through deep discounting. Also, products that sell like hot cakes are guaranteed to sell faster even at a small discount. You can also leverage discounts and benefits you receive from platforms. For example, Amazon currently has a series of offers for sellers. You can use these to lower your input cost and pass them on to the consumer. To figure out this price it takes a while. You need to understand how the market is responding to your products then accordingly change your selling price. The multi-channel and inventory management firm, Browntape Technologies can record your products’ performance through sales reports produced by its software. These help you identify the best and average performing SKUs and the best discount prices to sell them at during festive sales. Browntape’s price updating feature helps you change selling prices on online marketplaces at anytime. “It is not necessary to give a lot of discounts every now and then. Else people have a very casual picture about your brand. If your product is always discounted, it loses its brand value. Sellers can keep a slight giveaway of 8 to 10 percent. Discounting your product too much also doesn’t catch a lot of attention. There are so many sellers who keep MRP as 999 and sell the products for 200 or 300 which is not an effective move (it’s a loss making one),” mentions Memon. You can even control the hour-by-hour timing of discounts with tools like lightning deals, so that your product does not need to be on discount the entire day. This has the added bonus of your product being visible to shoppers looking specifically for festive discounts. #1 – Offering combos – to increase ASP (average sales price). It also helps push the sale of slow-moving SKUs by clubbing them with fast movers. This will also enable liquidation of dead inventory and improve cash flow. Browntape helps sellers understand their slow and fast moving SKUs using the data analytics tools offered through its software. At the same time, the Browntape feature – ‘Bundle Creation’ helps sellers manage inventory across platforms where these combos are being sold. #2 – Creating coupons – for limited SKUs. Amazon.in offers different options for the creation of these. Coupons are beneficial in case you want to target only specific customers like loyal customers. Leaving discounts and offers open to everyone can lead to high returns later, which is an expense. #3 – Deep discount a select few – this way your entire brand catalogue gets visibility. Eg. Upto 70% off on only selected SKUs. #4 – Target specific pincodes – this way you again reach out with your discounts only to the audience that responds best to your products. #5 – Sell more at discounted rates – means you purchase/ produce your products in bulk to reduce cost of acquiring/ producing them. As a result, you have more room to offer deeper discounts. #6 – Reduce fixed costs – likes staff, warehousing, accounting and so on. You can opt for the Amazon FBA services to reduce your spends for efficient stocking and delivery. With the help of the Browntape software, you can manage your accounts efficiently, which means less staff expenses. Proper Pricing is the key to make business work…. Too low pricing will make it social service instead of business….